I love this car seat cover. It's perfect for going to the beach as you can use use it to protect your seat from all the sand, then just remove and shake it off to have a sand-free car. I am an active runner here in San Diego. Before I was introduced to your awesome product. I would line my car seat with a towel to absorb the sweat after my runs. The towel would just slide down my back while driving. OKAY. Here's the DEAL. If you're a human being who works out ...AT ALL, this is worth ALL THE JEWELS IN THE LAND. (I'm being a little dramatic here, but it's WELL deserved). I received this in the mail 2 days ago. I was afraid it might not fit the bucket seat on my full size truck but no problem. The quality of the material and the manufacturing process is excellent. Used to get salt water rings on my seats from a wet bathing suit after riding my PWC. Now I just put this on after riding and no more wet seats. I like that it's very fast to install and folds up out of the way. Will it fit all my seats of my 2010 Toyota Camry, also are the cushions removable? 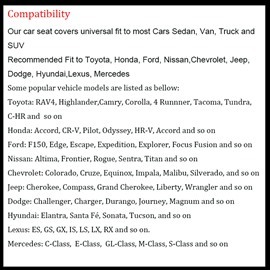 Vehicle is 2018 Nissan Titan XD Crew with 2 seats and headrests in front, one 60/40 bench seat (foldable armrest in the middle) and 3 rear headrests. 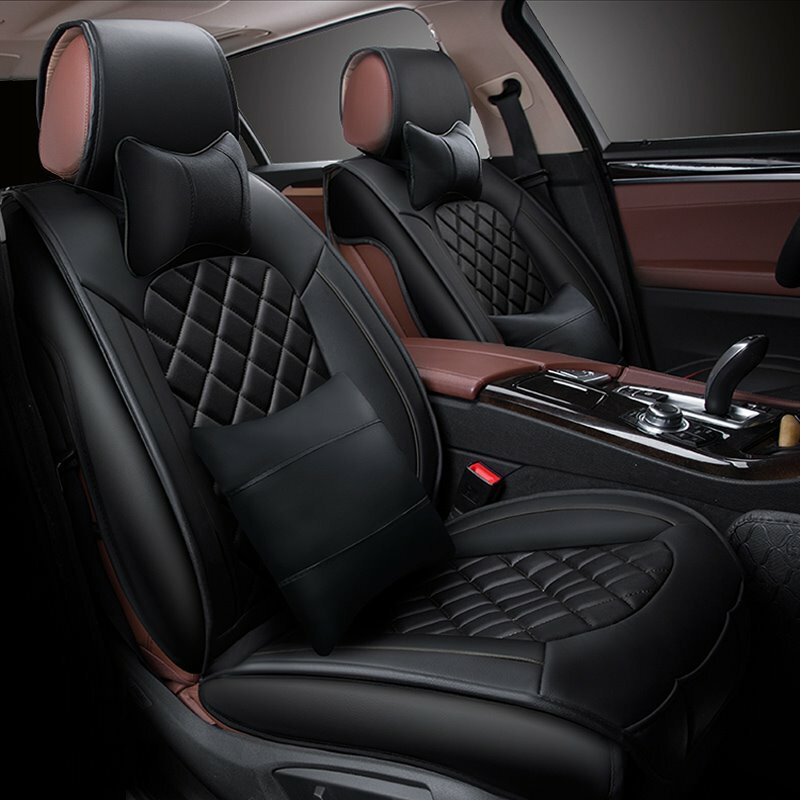 Fashion Grid Design Durable Easy Clean PU Leather Universal Five Car Seat Cover Item Code: 12715904 Will this item match the vehicle described above? please email at xxxx@yahoo.com. Thank you. 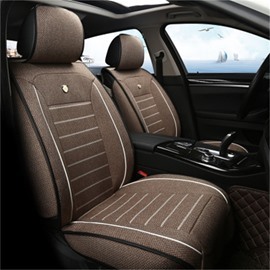 Fashion Grid Design Durable Easy Clean PU Leather Universal Five Car Seat CoverFashion Grid Design Durable Easy Clean PU Leather Universal Five Car Seat Cover 116 Share and Get USD $ 5.00 Coupon Fashion Grid Design Durable Easy Clean PU Leather Universal Five Car Seat Cover Item Code: 12715904 Will this fit 2018 Nissan Titan XD Crew SV 4x4? ?